Private browsing allows you to browse the web without leaving traces. It is achieved through a special browser window and ends at soon as you close the page. This tutorial explains how to always open Firefox in a private window. Restart Firefox to apply your new settings. 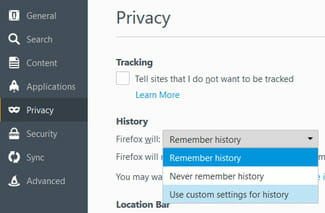 Firefox will now auto start in the private browsing mode, meaning that your browsing history, download history, searches, and form history will not be saved. 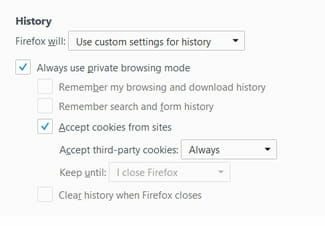 Cookies will also automatically delete at the end of each browsing session. Published by deri58. Latest update on September 29, 2015 at 10:50 PM by Christina Langer. This document, titled "How To Start Firefox in Private Mode by Default," is available under the Creative Commons license. Any copy, reuse, or modification of the content should be sufficiently credited to CCM (https://ccm.net/).